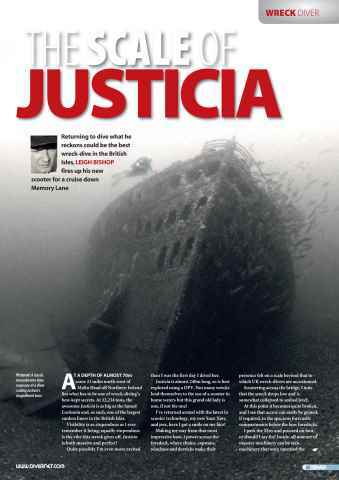 JUSTICA – Leigh Bishop dives one of the biggest liners around. 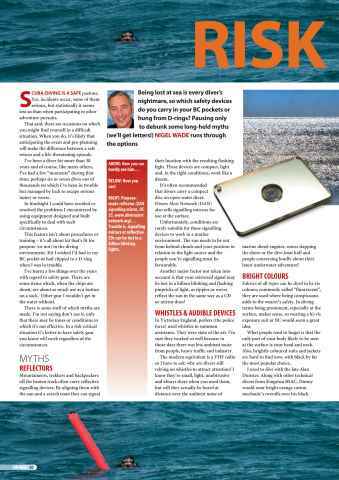 SAFETY DEVICES – Be prepared: Nigel Wade examines safety devices. 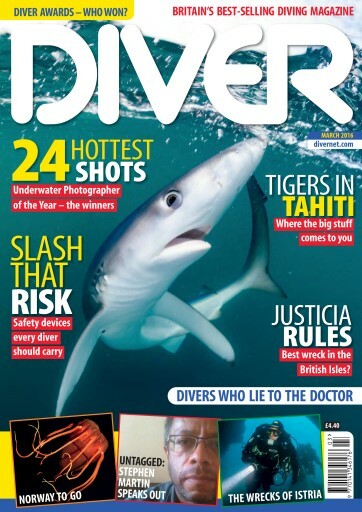 DIVER AWARDS – Your choice – the 24 winners and runners-up. 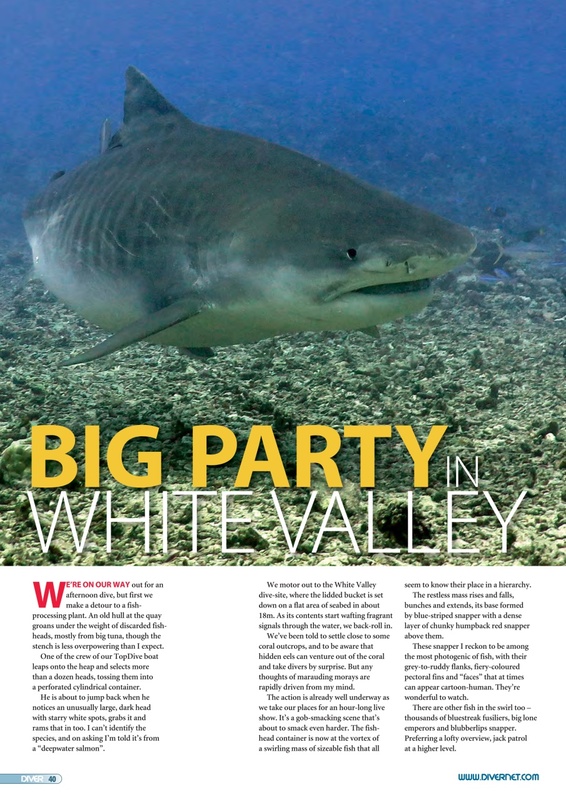 TAHITI – The marine life is in your face in Tahiti. 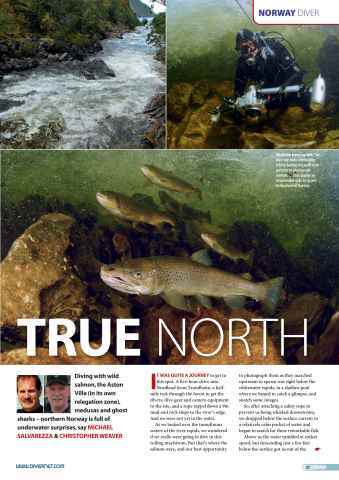 NORWAY – Salmon-diving is just the start in northern Norway. 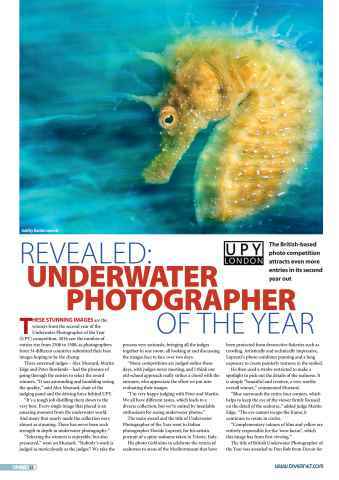 UPY – Underwater Photographer of the Year’s finest images revealed. KIT CONFIGURATION – and the quest for perfection, with Simon Pridmore. 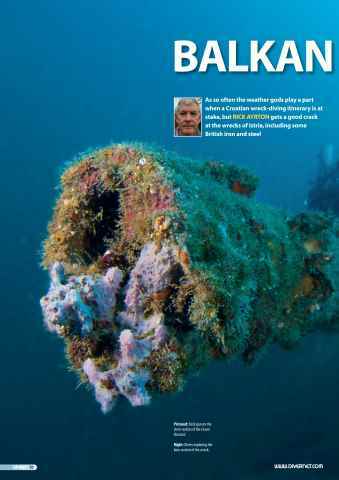 CROATIA WRCKS – British vessels among the dive objectives in Croatia. 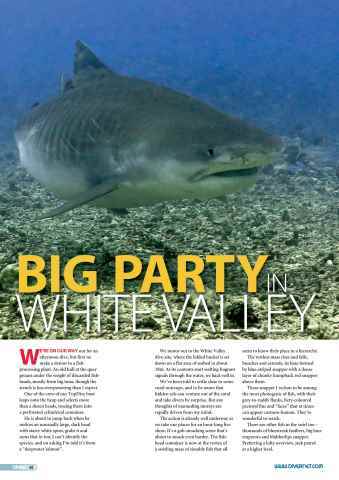 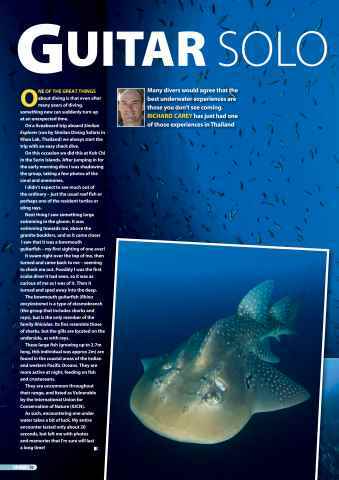 GUITARFISH – An unexpected encounter for Richard Carey. ROATAN – The less-dived side of the western Caribbean island.